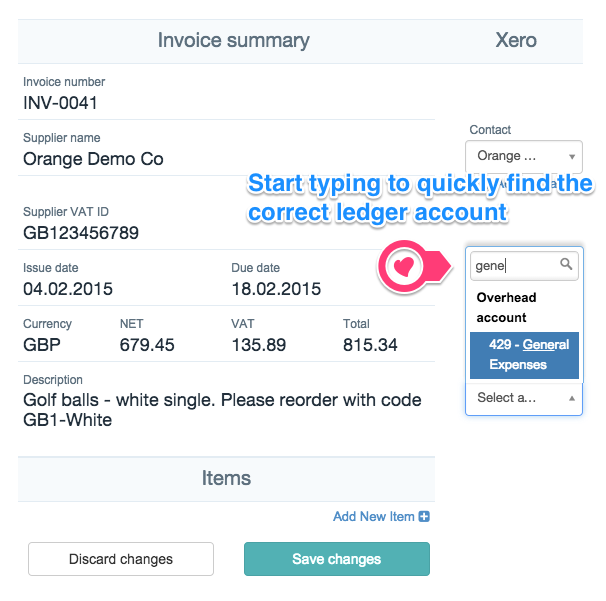 All features of this release work for both Sage One and Xero users. 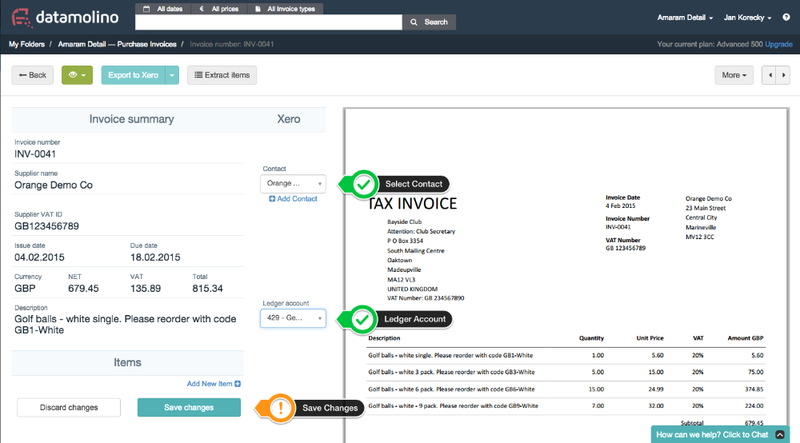 Now you can capture the detail of every line item in an invoice. This allows for accountants to select different ledger accounts for each invoice line item. To access this feature, please upgrade to one of our Advanced user plans. Now you can select the supplier contact and ledger account directly from within the invoice detail before you export. This significantly speeds up the export of invoice details. When selecting a ledger account or supplier contact you can now search within the dropdown menu. Just start typing and suggestions will automatically appear. Please note that the Basic user plan now exports the total of the invoice as tax inclusive i.e. TOTAL + TAX. Based on user feedback the Basic plan does not capture Tax Summary. This improves the reliability of data capture. 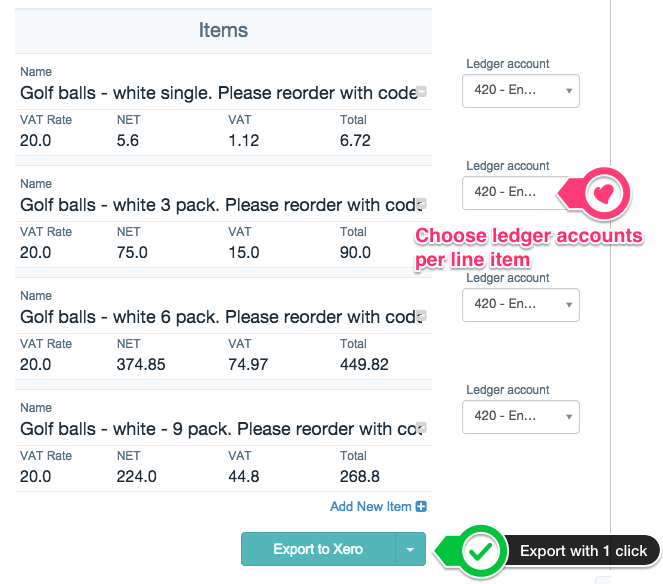 You can always add invoice line items to an invoice manually to export multiple lines with different ledger accounts. If you wish to account for multiple tax rates - our new Advanced Plan is for you. The Advanced plan allows you to capture invoice line items automatically on the invoices of your choice. The line item export is currently in BETA, we will be improving the usability of this feature in the coming days. Thank you for all the feedback. 27. March 2015 - Datamolino release 15.03.